A mother, Oluwaseun Folorunsho, has accused a private medical facility in Lagos State, Oak Hospital, of killing her one-year-old son, Ogooluwa. 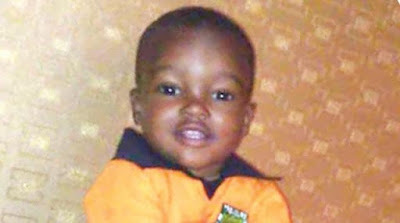 The 43-year-old mother claimed that workers at the hospital prescribed and administered drugs meant for her four-year-old son, Imole, to Ogooluwa, adding that it was what led to his death. It was learnt that Oluwaseun had on Saturday, September 22, 2018, rushed her two sons to the hospital as both had cough and were vomitting. It was gathered that a medical test on the children revealed that they both had malaria and an unnamed infection, leading to their being admitted to the hospital. While Imole was placed on drips, Ogooluwa was reportedly given injections. Their mother told The Punch that when she gave Imole food to eat, he refused, adding that his vomiting continued. The Ogun State indigene said despite her complaints, a doctor at the hospital said all was well. She said, “On Sunday, Imole, who is the elder, started running a temperature. I called the attention of the doctor to it and he said I should not worry that he would be fine. He said his younger brother was already playing. “In the afternoon, one of the nurses came with three injections for Ogooluwa. I noticed that she used big syringes to give him the injections. “She gave him two injections on the thigh and when she was about to give him the third, the liquid escaped from the syringe. She said she would come back to do it again, but she never did. “When Ogoololuwa woke up from sleep, he asked for water. He drank a lot of water. In the evening, the doctor came to check his heartbeat and said he was perfectly normal and he would discharge him. But I told him that the elder brother had not been eating. He said he would give us drugs and he would also be fine. Oluwaseun added that when she got home and brought out the drugs, she noticed that the nylon which had Ogooluwa’s name had six drugs, while the one with the elder brother’s name had four drugs. She explained that when she asked her husband if the drugs were for Ogooluwa, he replied that the pharmacist confirmed that they were for him. She noted that after giving the one-year-old the drugs, which consisted of antibiotics, oral suspension, cough syrup, among others, he excreted again. The mother said when she noticed that the excreta were excessive, she gave him Oral Rehydration Therapy. “When I noticed that the excreta did not stop, I decided to take him back to the private hospital. When I wanted to carry him, I noticed that he was not looking fine; I shouted for help. People assisted me to take him to a nearby hospital. “On getting there, the person that attended to us asked what happened to the child and who gave him antibiotics. He said he was reacting to the drugs and that was why he had become pale. He said we should take him away. “When I returned home to get clothes for Ogooluwa in order to take him back to Oak Hospital, I met his brother vomiting again. I begged people to take him to a nearby hospital, while I take Ogooluwa to Oak. “When we got to Oak, the doctor that attended to us said there was no blood again in his body and that he had passed on and there was nothing they could do. Oluwaseun, who insisted that the hospital was at fault, said she wanted justice. She said she wanted the hospital to admit that someone failed to perform his or her job diligently and the culprit should be punished. When The Punch contacted the owner of Oak Hospital, Dr Ayodele Kalejaiye, he said the death of the child was not caused by the hospital, adding that the deceased was later diagnosed of food poisoning. He said, “When someone dies, the family will always want to blame it on one thing or the other. When the woman met me, I had to come out of my leave to meet her personally. “When I checked her records, she came in with food poisoning herself and her two children came in with cough; they were managed for cough and discharged. It was after they were discharged that they came back with food poisoning. “I called the medical director to investigate and in her presence, he told her that it was a case of food poisoning. So, before one of them could come in, it was already bad. Oluwaseun, however, refuted the claims of the hospital, saying they were cover-ups.